Many readers will have noticed we've expanded our coverage in recent months to touch on the spaces where music overlaps with those areas of geek culture we've covered since the blog's inception. It will likely not come as a surprise, then, to discover that as a group of contributors, we're a musical bunch. A solid plurality of all the writers that have contributed to NoaF have or have had musical projects of their own. 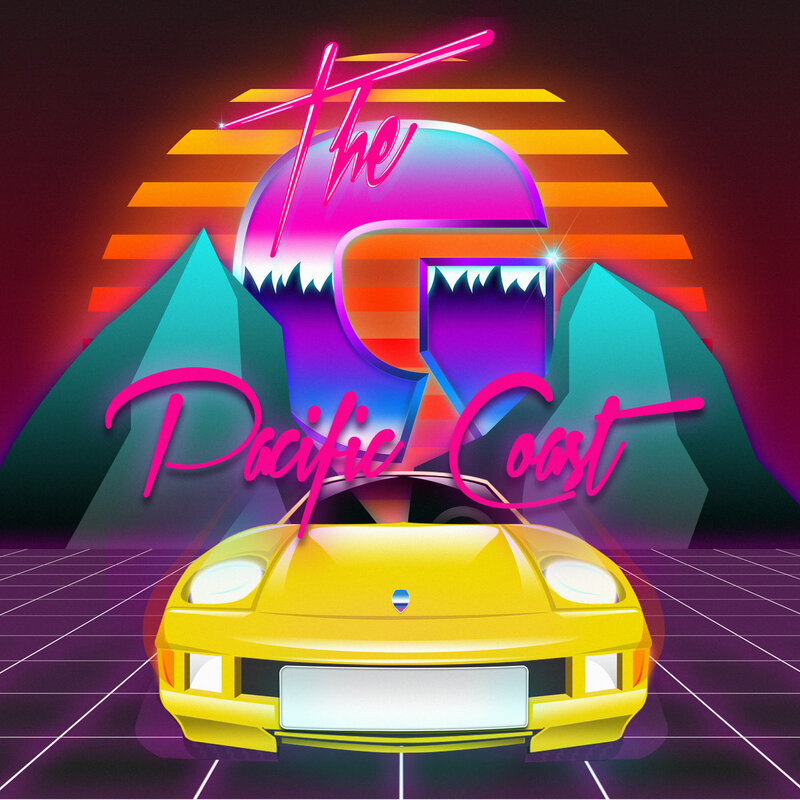 Nerds of a Feather founder and co-editor The G is no exception, and he's making a few digital download codes for his debut synthwave EP Pacific Coast available to readers. Since its release, I've had this thing in the headphones a number of times while I've gone for runs, and it's a pretty cool collection of songs. We've written about some performers or bands that sing about nerd-adjacent themes or the experience of being into interests that most people consider outside of the mainstream, but the cool thing about synthwave and this EP is that it wears its geeky bona fides on its sleeve, woven right into the music itself. Growing up in the 80s and having a new batch of songs that evoke the synth soundscapes of movies, shows, and games that I loved as a kid while still being something new is a lot of fun. The G is giving away three digital download codes (via bandcamp) of the Pacific Coast EP. Winners will then be able to download the EP in the digital format of their choosing, as well as stream the EP from the bandcamp page (or app) without restrictions. To enter, just leave a comment here telling us what your favorite 80s movie is--and why! Posted by Vance K — cult film reviewer and co-editor of nerds of a feather, flock together since 2012, and singer/guitarist in the alt-folk band Sci-Fi Romance.